Tucker’s appreciation for the work of Renaissance Financial grew out of observing his family’s long collaboration with the firm; for over 15 years, Tucker saw how his family benefitted from the teamwork, resources and advice they were provided. Now, as an advisor himself, Tucker is enjoying working with a wide variety of clients, including young families and small businesses. He values the ability to craft long-term relationships that help others to feel guided in their financial decisions. 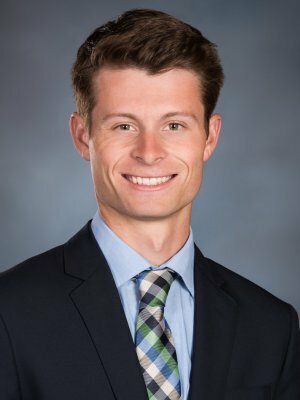 With previous internships at Wells Fargo Advisors and RBC Wealth Management, Tucker has both experience and perspective about how to help meet clients’ needs. Tucker holds a Bachelor of Science in business administration with a major in finance from Kansas State University. He is a member of Lambda Chi Alpha and the K-State Alumni Association. In addition to active involvement in school organizations, Tucker has worked with the charitable organizations, Flint Hills Breadbasket and St. Jude’s Children’s Hospital. Tucker holds his Life, Accident, and Health Agent license, as well as his FINRA Series 7 and Series 66 registrations.